NEXT month’s Golden Nursery is the new target on Wolf Of West Bay’s schedule. 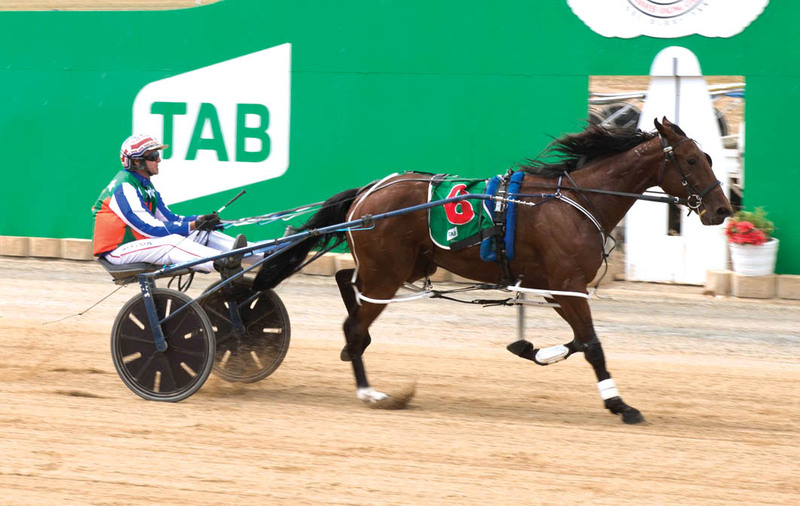 Excited by Wolf Of West Bay’s form, which includes an effortless win at Globe Derby yesterday, trainer Alyce Finnis has taken aim at the feature, which begins with heats on April 15. Should all go according to plan the freshman will then contest the $30,000 Final a fortnight later. “We are very happy with him…really excited,” Finnis said. “He’s doing a great job already and hopefully can keep it going for the rest of the season. “He will have a few light days now then we’ll head towards the heats. “After that the Southern Cross will be his main aim and that will see out his season. Driven by top reinsman Ryan Hryhorec, Wolf Of West Bay began quickly to lead from barrier six as the field raced in ‘Indian file’. With the field bunching leaving the back straight, Hryhorec slipped the son of Art Major more rein as he strode clear for a seven-metre win from Whats Stanley Got, with Star Corka six-and-a-half metres away third. Rating a modest 2:03.6 over 1800 metres the two-year-old stretched his record to an imposing three wins from four starts, with his victories including the recent Sapling Stake.